Here it is…our first truck is almost completed. Since the end of our Kickstarter campaign we have been busy. The inside of the truck has been completed, it now has working power, water, sinks and freezers (very important) to keep our scoops cool. 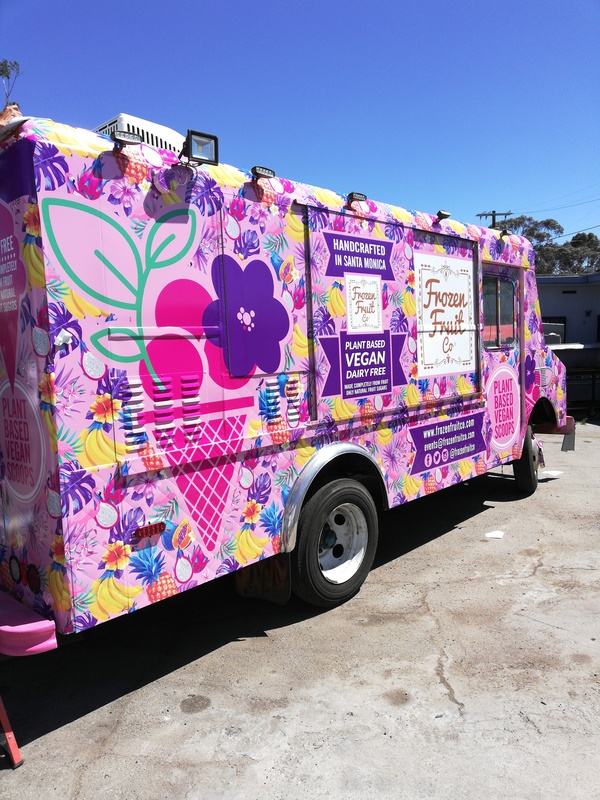 Most importantly, we decided on a final design for the truck and got it wrapped in this awesome candy pink color. We wanted a design which would make you stop and stare. Something that was fun and made you smile. Something that was completely different. The result was our candy pink fruit and flamingo medley pattern. We love it. Luckily we found some paint that match it so we could spray paint the bumpers and mirrors (seriously think the insides of our lungs are now a candy pink color …). What’s left? Well, the truck is getting a mechanical check the beginning of next week and we have our final inspection on Friday 20 June. If everything goes well the truck will receive its seal of approval and it can start hitting the streets. We plan on doing a soft launch for a week so we can just get a hang of operating it. After that…the world is our oyster (by world we mean Los Angeles). Big Love and thank you for being part of this journey.